The immune system of the body plays an important role in fighting against cancer and infectious diseases. The decreased immune function has been primarily attributed to the increased incidence of neoplastic and infectious diseases in the elderly. Alteration in circadian rhythmicity of various subsets of lymphocyte population in cancer patients suggests impaired integration of nervous, endocrine, and immune responses in neoplastic disease. The photoperiodic regulation of immune function with enhancement during short photoperiods and inhibition during long photoperiods is supported by the seasonal outbreak of some infectious diseases. The pineal biomolecule melatonin could be a very useful resource for inhibiting neoplastic growth as its immunomodulatory role may stimulate several immune mechanisms. 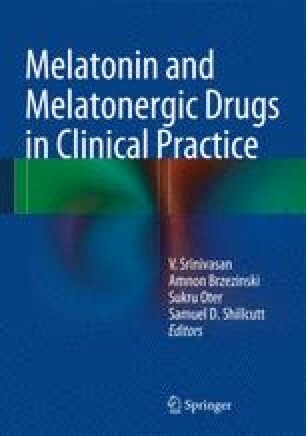 Melatonin stimulates natural killer cells which are known to attack and destroy cancerous cells. It also influences T-helper 1 cells, B lymphocytes, and release of cytokines from immunoregulatory cells. The immunomodulatory role for melatonin and its application in the control of infectious and neoplastic diseases is supported by the synthesis of melatonin by lymphocytes and thymus. Pandoffi F, Cianci R, Pagliari D, Casciano F, Bagala C, Astone A, et al. The immune response to tumors as a tool toward immunotherapy. Clin Dev Immunol. 2011. http://www.hindawi.com/journals/cdi/2011/894704/. Accessed on 15 Apr 2012.